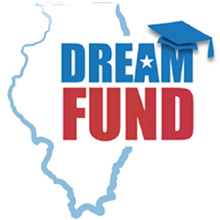 Illinois Dream Fund is open to undocumented students in their last year of high school or who are current undergraduates attending an accredited institution with a 2.5 GPA, on a 4 point scale. According to Cabrera, students planning to attend a two-year institution will receive $2,000 and students planning to attend a four-year, public or private, in-state or out-of-state institution will receive up to $6,000 in financial aid. “I would like to point out that students can pursue any degree they want as long as it’s at an accredited institution,” said Cabrera.